As leaders of United States Government humanitarian efforts, we currently contend with a long list of global disasters, conflicts and disease outbreaks. Yet none fills us with as much frustration and despair as the crisis in South Sudan. Why? Because this crisis should never have happened. In 2011, after many years of fighting for independence, the nation of South Sudan was born. Last year, the Southern Sudanese people were on track with the work of developing their nation—development they dreamed of during decades of war. Our plan was to phase out aid to those South Sudanese who had returned from exile. Helping the new government to govern justly and serve its people was the top priority. But on this day one year ago, fighting triggered by discord between political leaders and fueled by ethnic rivalries broke out among soldiers in Juba, which set off a wave of violence that spread to the far reaches of the country. The result was death, destruction, and, once again, innocent people on the run. On this sad anniversary, our thoughts are with the victims of this conflict, whose hopes and aspirations have been overtaken by tragedy. Children are out of school and families have been torn apart. Today, South Sudan is the most food insecure country in the world with parts of the country on the brink of famine. Roughly one-third of people in the Greater Upper Nile region are facing a food emergency. In areas ravaged by violence, farmers cannot harvest their crops. When violence broke out last December, the United Nations Mission in South Sudan (UNMISS) opened the gates of their compounds to civilians desperate for a safe place to hide from the violence. Today nearly 100,000 South Sudanese are still there, crowded together in tents and facilities that were not meant to house so many families. Some venture out to check on their abandoned homes, farms or businesses, but most are too frightened to leave. Nearly 500,000 South Sudanese are now living as refugees in neighboring countries. These countries’ willingness to take them in has saved many lives. Aid workers are doing all they can to help millions of people. 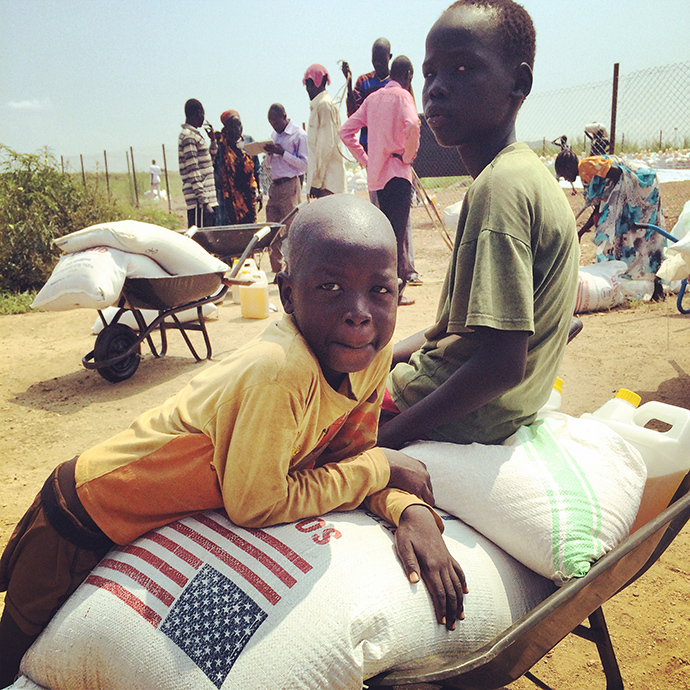 Their efforts, supported by the U.S. Government, other governments and aid donors, have helped stave off famine, saved lives and ensured the victims of South Sudan’s violence could get food, shelter, clean drinking water, health care and psychological support. 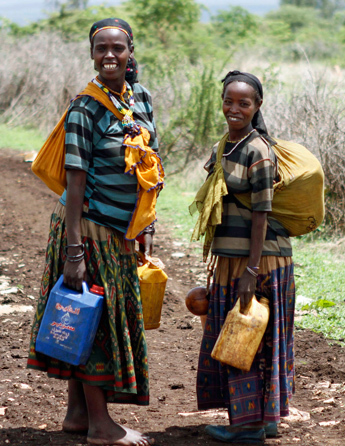 But resources are limited and many are forced to live in terrible conditions where diseases thrive and hardships multiply. Violence, however, continues to make it dangerous, difficult and expensive to reach and protect the victims of this conflict—and South Sudan was already a very challenging place to deliver aid. In August, six humanitarian aid workers in Maban County were attacked and killed, one World Food Program staff member is missing and other aid workers have been targeted. Aid organizations resort to exorbitantly expensive air operations to deliver food. Moving food by air can cost eight times more than delivering it by trucks. This senseless crisis is straining available resources during a time of unprecedented global need. Yet unless the fighting stops, the specter of famine will continue to loom over South Sudan and innocent men, women and children will continue to suffer. Regional peace talks have so far been unsuccessful. It is more urgent than ever that the warring parties recommit to the ceasefire declared in January—and this time, they need to mean it. In South Sudan, political leaders and military commanders should stop the fighting and put their people first.